Those who’ve gone through their late teenage years might remember them as times of very rapid change. 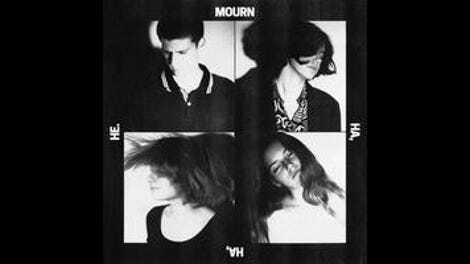 Although Barcelona punk(ish) outfit Mourn—four kids who can’t legally drink alcohol in the United States (including one who wouldn’t be old enough to vote)—is only 16 months removed from its self-titled debut, follow-up Ha, Ha, He. matures almost as a matter of course. Sharp, thorny guitar melodies are still the name of game, but now they ricochet along slightly sinuous post-rock routes rather than saw-ragged shortcuts to the finish line. That’s not to oversell this as some big leap to the mainstream; as second track “Evil Dead” demonstrates, the angular riffs of Ha, Ha, He. are still fast and gratingly discordant, the percussion is still tenacious, and the vocals still spiral through aggressively quirky death-metal lyrics (“Feast on your soul!”). With confidence earned from quick success, the band also works a little more flair into its act. Propelled by bass lines infused with a dash of flash—and that morph into a fairly dynamic solo on closer “Fry Me,” the group’s longest cut yet at three and a half minutes—there’s a liveliness to the album that’s more anxious than acerbic. 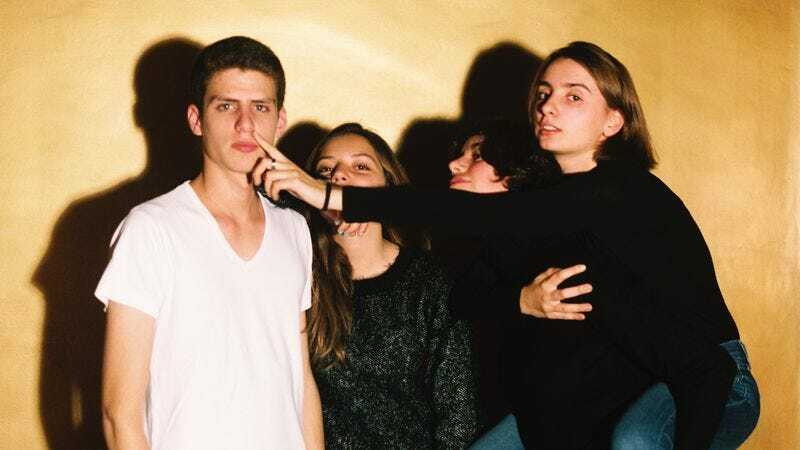 That nervous energy builds to a climactic release on “Irrational Friend” as the band shrieks the album’s title phrase (taken from William Blake’s poem “Laughing Song”) and falls into howling laughter. Of course, it’s natural that the group’s brisk development would engender some degree of tension and restlessness. Beginning with abrasive instrumental “Flee” and taking a measured alt-rock approach with the moody one-two punch of “I Am A Chicken” and “Second Sage” (the latter inspired by The Legend Of Zelda), Ha, Ha, He. is the first step in Mourn’s search for a discrete sound beyond repeated stabs of knifelike noise. The record adds drops of depth and drama to the recipe, but the band hasn’t quite cooked up its signature dish yet.